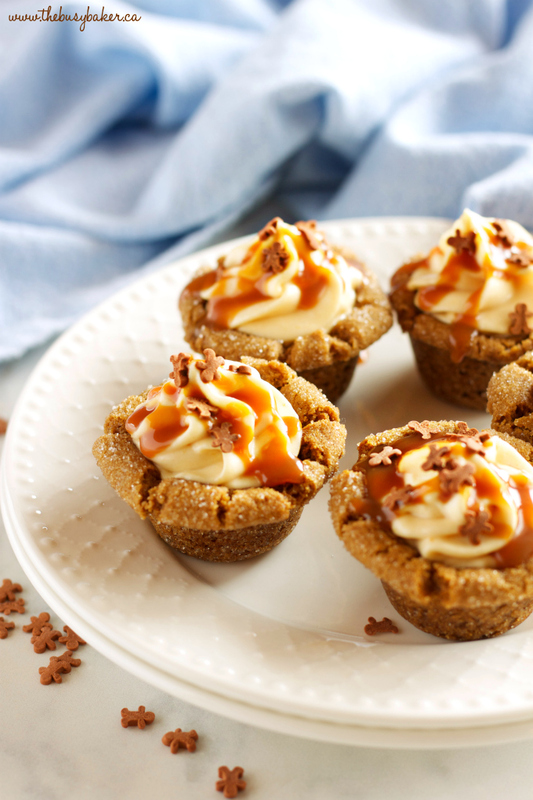 These Gingerbread Cookie Cups with Pumpkin Cheesecake Filling are the perfect addition to any holiday baking tray. 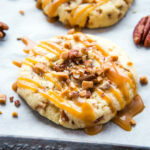 Soft and delicious gingerbread cookies filled with fluffy pumpkin cheesecake filling and topped with caramel sauce – these are the BEST holiday dessert around! 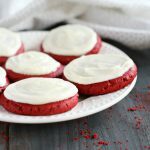 Watch the VIDEO below to see how I make them, and don’t forget to scroll down to the end of this blog post for the FULL PRINTABLE RECIPE! Raise your hand if you’ve already started your Christmas baking!! It’s already the first week of December and I have to admit, I haven’t really started baking yet (insert sad-face emoji here). Truthfully, it’s more about how much freezer space I have than anything else…and no one wants stale Christmas cookies, am I right? One of my goals for 2018 is to get another freezer so I can freeze fresh berries and other fruits and vegetables for the winter and make all kinds of baked goods ahead of time for the holidays, like I used to be able to do! We’ve lived with a tiny freezer for almost two years now and it’s about time to expand our freezer space! But enough of my freezer woes and on to Christmas cookies!! Aside from the typical Christmas shortbread, chocolate crinkle cookies, and Caramel Chocolate Shortbread Bars I make every single year, sometimes I like to make Christmas cookies that are just a little bit extra special. These Gingerbread Cookie Cups with Pumpkin Cheesecake Filling are truly all that and more – they take Christmas cookies to a whole new level! 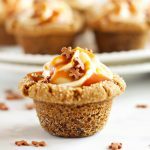 These Gingerbread Cookie Cups with Pumpkin Cheesecake Filling are a variation of my ever-popular Best Ever Ginger Molasses Cookies. They’re baked in a mini muffin tin – here’s a link to my favourite if you’re looking for a good one! 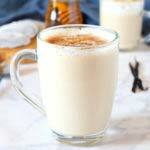 (affiliate link) – and then stuffed with the fluffiest pumpkin cheesecake filling you’ll ever try, and topped with caramel sauce and the cutest little gingerbread men sprinkles (affiliate link) you ever did see!! 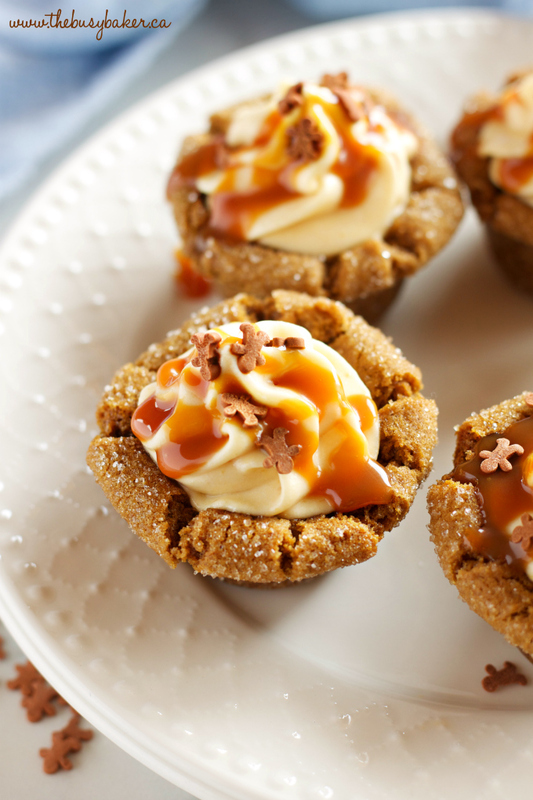 Seriously, just one bite of these Gingerbread Cookie Cups with Pumpkin Cheesecake Filling and you’ll be in Christmas cookie heaven. 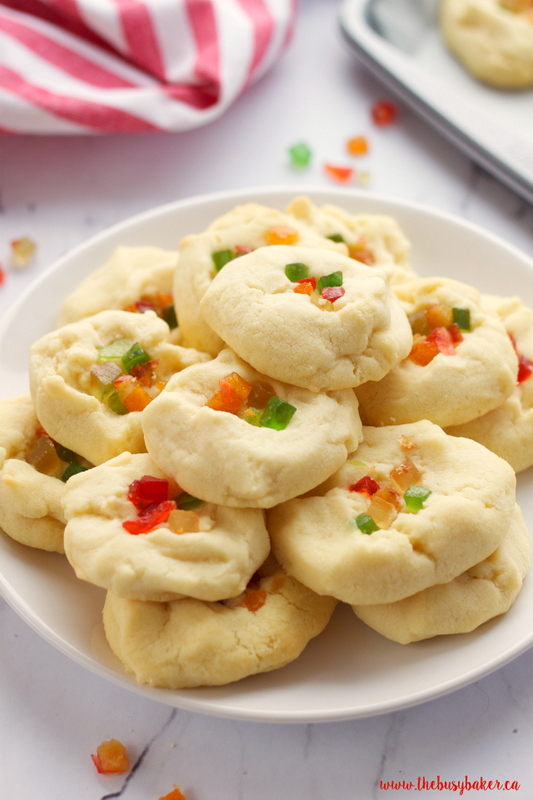 They’re so perfect for serving on a Christmas cookie tray at any holiday party and they’re even great for kids! Just bake the cookie cups ahead of time and then take turns piping in the filling, drizzling on the caramel sauce and adding sprinkles! Who could resist? Looking for even more delicious Gingerbread recipes? 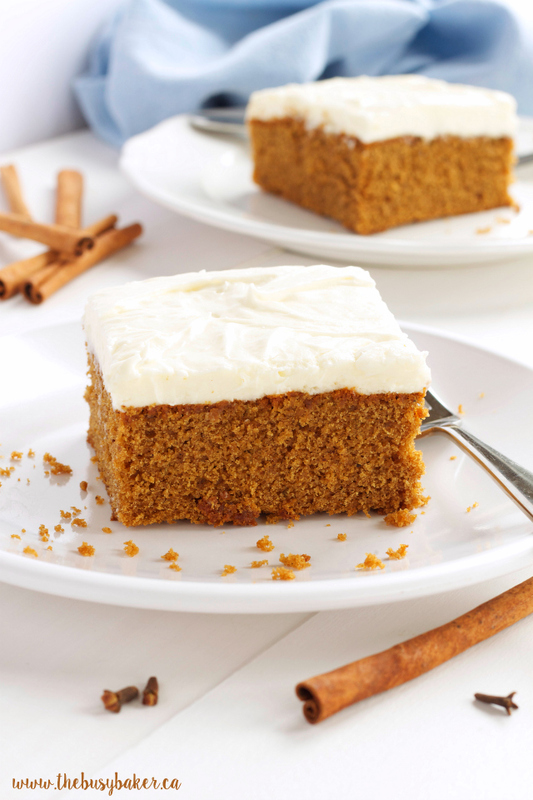 Try this delicious Gingerbread Spice Cake with Fluffy Cream Cheese Filling! 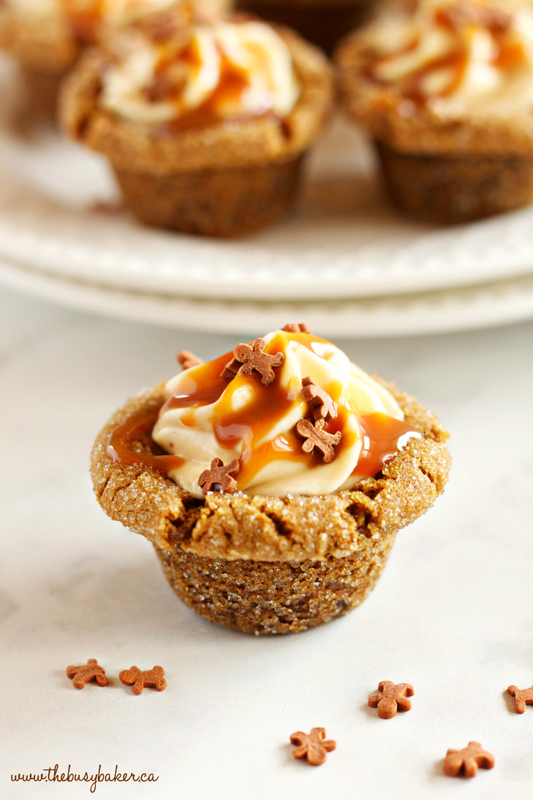 I hope you love these Gingerbread Cookie Cups with Pumpkin Cheesecake Filling as much as we do! Let me know in the comments below, what’s your favourite Christmas treat to enjoy during the holidays? Looking for more Christmas treats? 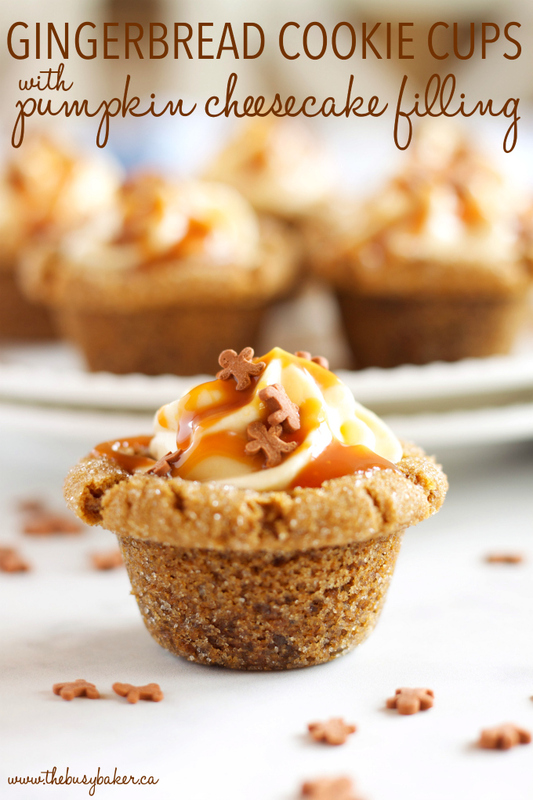 Before you grab the recipe for these Gingerbread Cookie Cups with Pumpkin Cheesecake Filling, check out the other Christmas treats I have linked below! These Whipped Shortbread Cookies are my family’s favourite Christmas cookies ever!! This Gingerbread Spice Cake with Fluffy Cream Cheesecake Frosting is so easy to make and it’s perfect for any holiday dinner party! 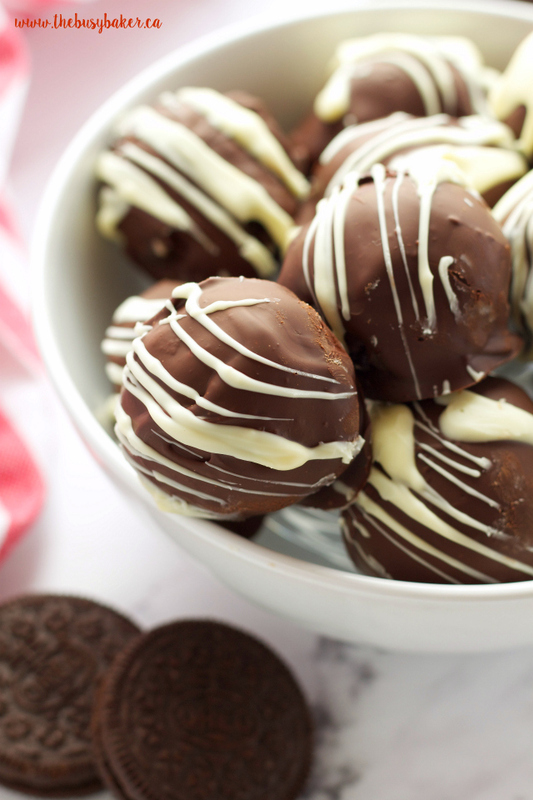 These Oreo Cheesecake Truffles might be the easiest Christmas treat ever!! And SO delicious!! 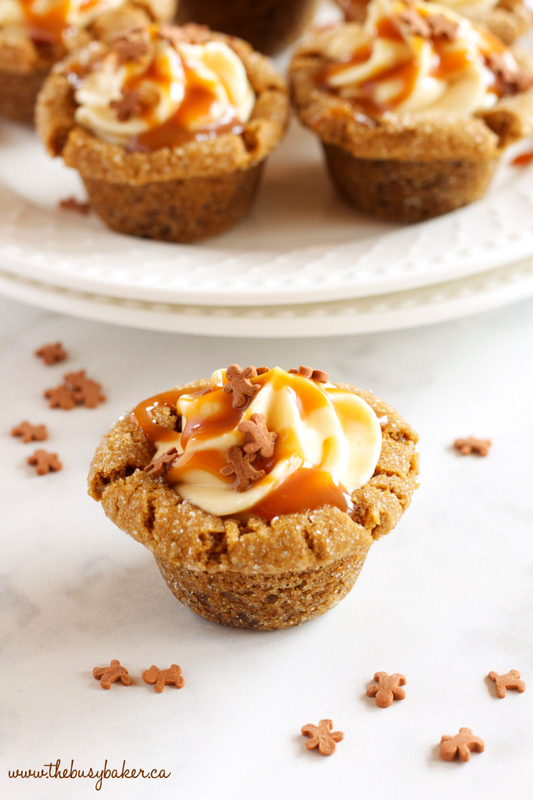 These Gingerbread Cookie Cups with Pumpkin Cheesecake Filling the perfect holiday dessert made with soft gingerbread, pumpkin cheesecake and caramel! Preheat your oven to 350 degrees Fahrenheit and prepare a mini muffin tin by greasing it with butter (or your favourite baking spray). Add the butter and sugar to the bowl of your stand mixer (or use a hand mixer if you prefer) and beat on high until creamy and smooth. Beat in the egg and molasses on medium speed, scraping down the sides of the bowl until it's all incorporated. Add the flour, salt, baking soda, cinnamon, ginger, and cloves, and mix on low speed just until incorporated. Roll the dough into small balls (just under 1 tablespoon each), dip in the white sugar and place in the mini muffin cups. Press your thumb into the cookie balls to spread the cookies slightly into the mini muffin cups (don't worry about this too much - you can re-shape them after baking while they're hot!). 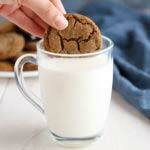 While the cookies are hot from the oven, press the back of a teaspoon into the top of each cookie to create a cup shape. Let the cookie cups cool completely in the mini muffin cups before removing. This will help them keep their shape. While the cookie cups cool, make the cheesecake filling by adding the cream cheese, pumpkin pie filling and powdered sugar to a bowl. Whip on high speed until smooth. Fold in the whipped cream just until it disappears and the mixture begins to grow in volume slightly and become light and fluffy. Pipe the filling into the cooled cookie cups with your choice of piping bag and tip (or simply spoon it in if you prefer). Top with caramel sauce, gingerbread men sprinkles or toffee bits for an extra decadent holiday flair! 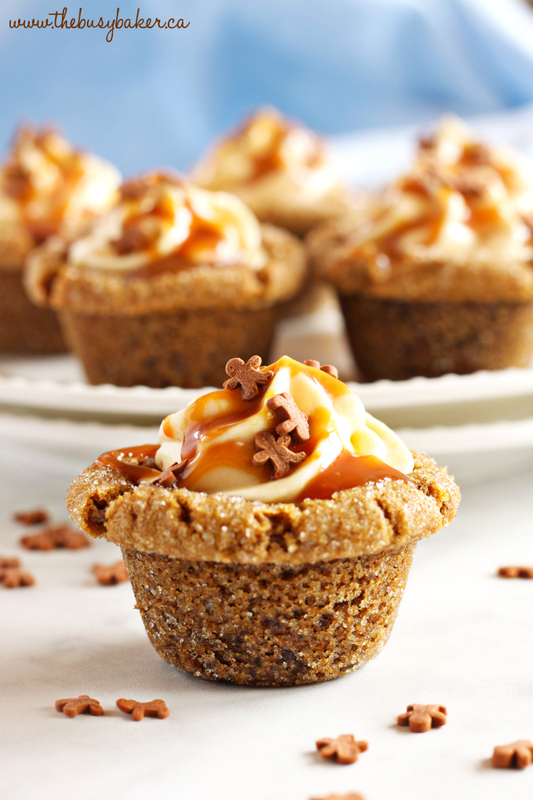 Serve these Gingerbread Cookie Cups with Pumpkin Cheesecake Filling immediately, or store in the fridge for up to 2 hours before serving. To make these cookie cups ahead of time, prepare the cookie cups and the filling separately the day before and assemble just before serving. Thanks so much!! I hope you like the recipe! These look so yummy! I can’t wait to try them. I love pumpkin and cream cheese! And you can’t go wrong when you combine the two! Thanks Nancy!! 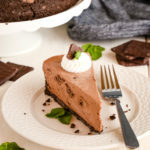 I hope you like the recipe! Where can you get those cute mini gingerbread men sprinkles? Great question!! You can find them here: http://amzn.to/2A37eOJ (this is my affiliate link).